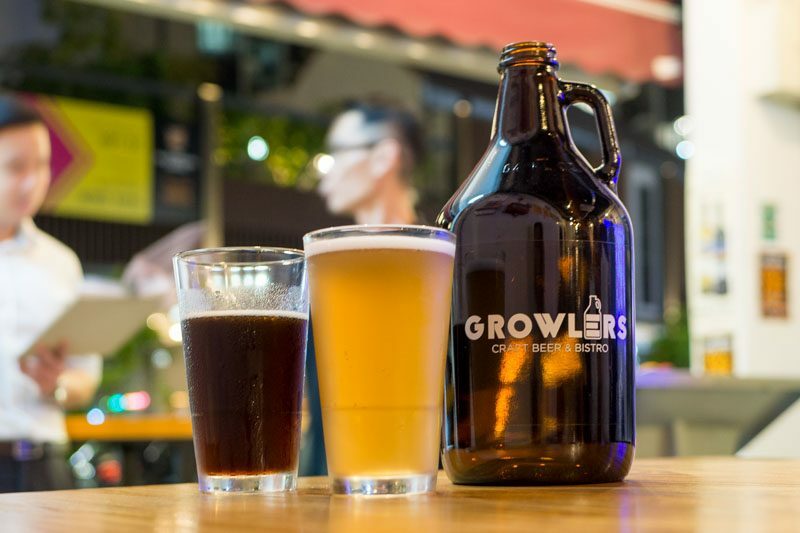 Growlers Craft Beer & Bistro, located near Potong Pasir MRT station, needs no further introduction — what first caught our attention in early 2017 was the da pao (takeaway) jugs of fresh brew from the tap, which is still a beautiful sight to behold. We heard that the menu has been revamped since our last visit and I had decided to drop by to check it out. But before I could get started on the meal, it seemed almost sacrilegious to skip having a pint of the popular beer first. I was told to try the new Belgian Wit (290ml – $12, 470ml – $16, 2000ml $54), which is brewed in-house at the Hospoda Czech Microbrewery — TL;DR previous article, it’s run by the same folks. I was greeted by a whiff of herbal notes on the first sip and was surprised to find out that what I picked up on was actually coriander and nutmeg, which interestingly worked well to whet my appetite. But I’m a dark lager kind of girl, and went with The Czech Mix (290ml – $12, 470ml – $16, 2000ml $54), which wasn’t overwhelmingly bitter or too heavy to wash down the evening’s grub with. 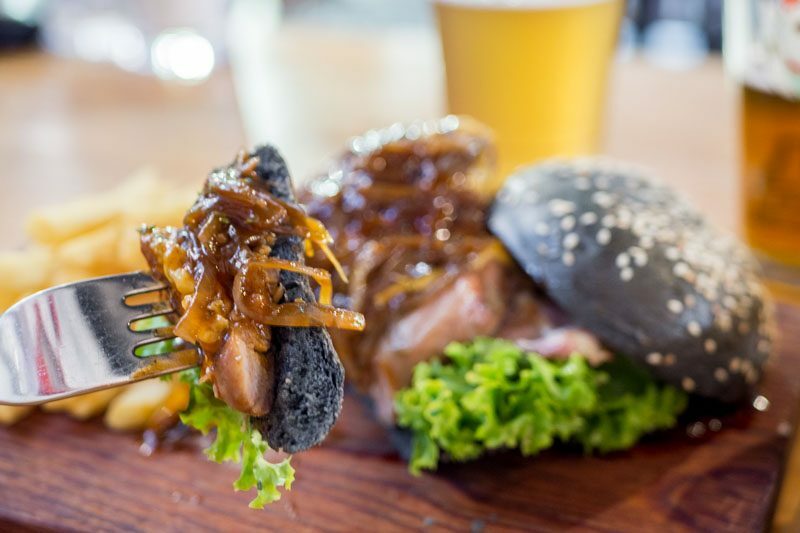 We are only featuring two of the three new dishes, starting with the Signature Duck Burger ($19). If I hadn’t been told that the protein used was duck meat, I would have thought that it was a really well-cooked piece of chicken. 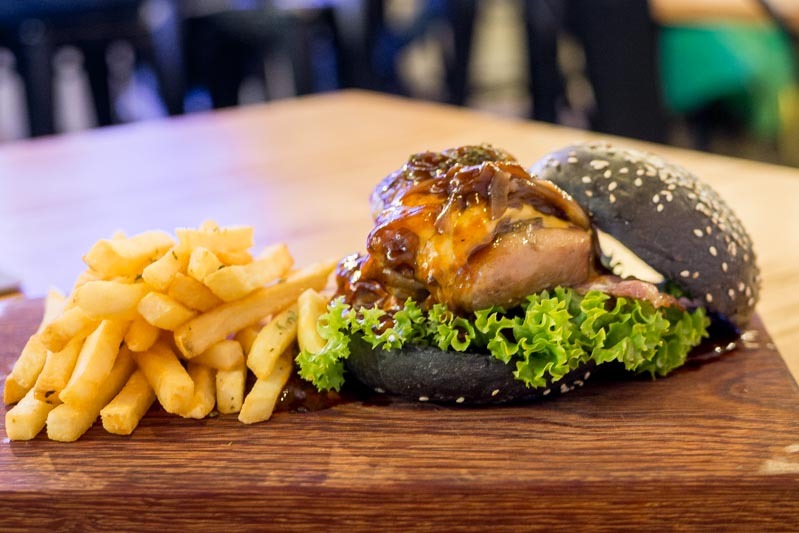 Unlike the sometimes gamey flavour and tough texture that’s associated with duck meat, the meat in this burger was tender and juicy throughout. The slice of cheese tied everything together, while the bacon added a smoky flavour to every bite. My only gripe was that it would have been perfect if the barbecue glaze wasn’t heavily slathered on the meat, so that the flavours of the duck could shine through more. But, I must say, working my way through the burger didn’t become dull midway as the contrasting textures from the lettuce and the caramelised onions helped add to the crunch that was needed. 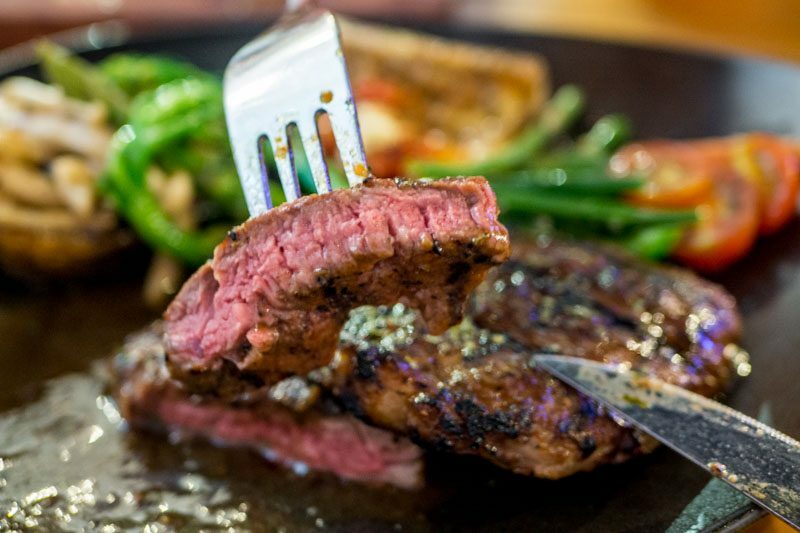 If you find yourself having to choose between getting the burger and the Ribeye Steak With Red Wine Sauce ($29), I’d say go for this! The plating was visual perfection on its own, with pops of colours from the vegetables. 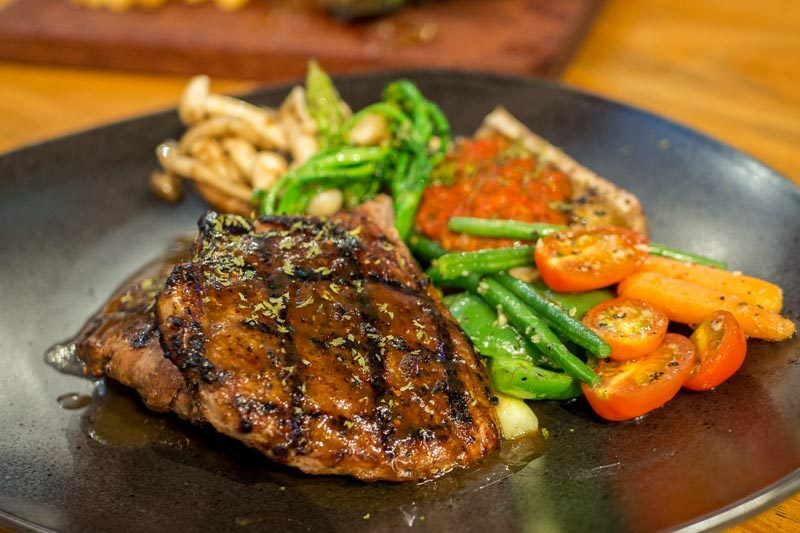 Served with TWO medium-rare ribeye steaks, the price is quite the steal. Cut right into it and you’ll find a beautiful rosy hue blushing right at you. Little jaw work was required to chomp on the meat, so I was just popping the sliced pieces into my mouth while bobbing my head up and down in silent approval. 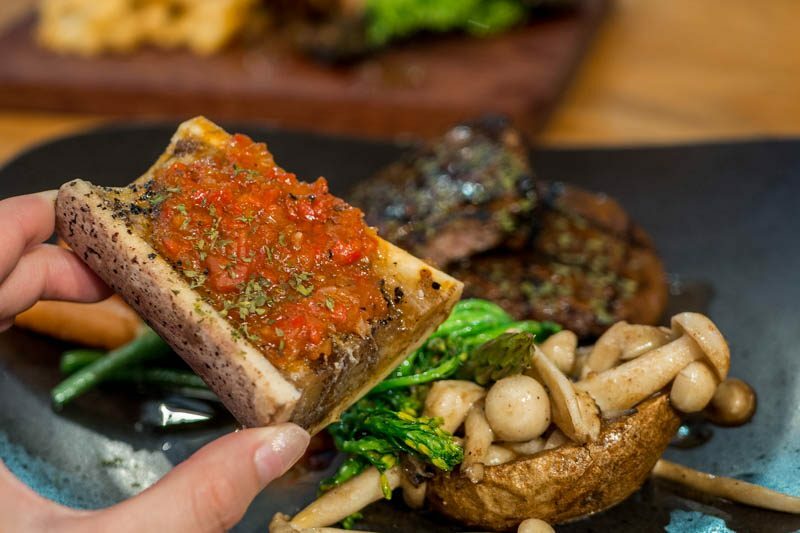 Hidden behind the star of the dish was a roasted bone marrow. I jumped right in to have a taste and couldn’t stop scooping up the gooey marrow, which really complemented the meat. Its texture was similar to that of roasted eggplant but fattier and more robust, and the tart salsa on top cut through the richness. I, unfortunately, did not get to try the final new dish which was the Grilled Pork Belly, because of an event that was happening at the same time. 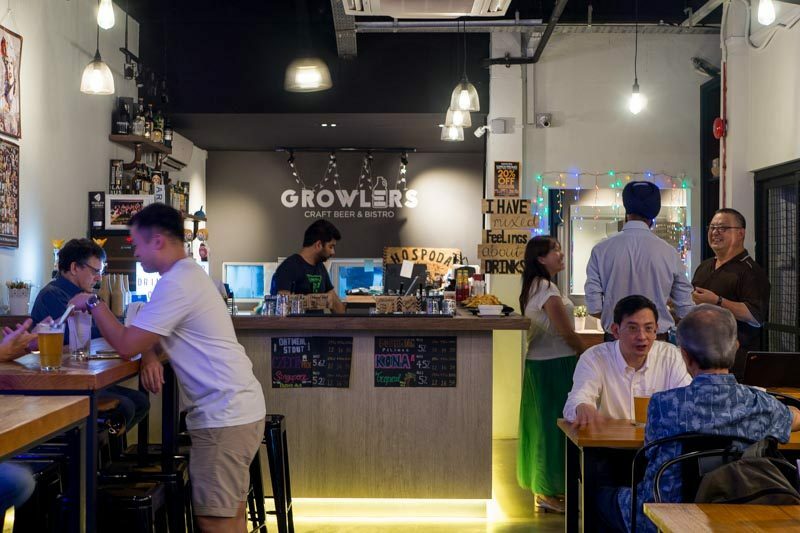 But that’s just given me a reason to return to Growlers Craft Beer & Bistro again. Also, the owners have heard you and are working on producing smaller jugs of beer to da pao. Very soon you’ll be able to order one-litre and two-litre jugs as well, so you’re sorted for your parties! Keep the jugs because you can bring them back to da pao again, or you know, just keep them on your desk for aesthetic purposes. Is that your tummy I hear growling? 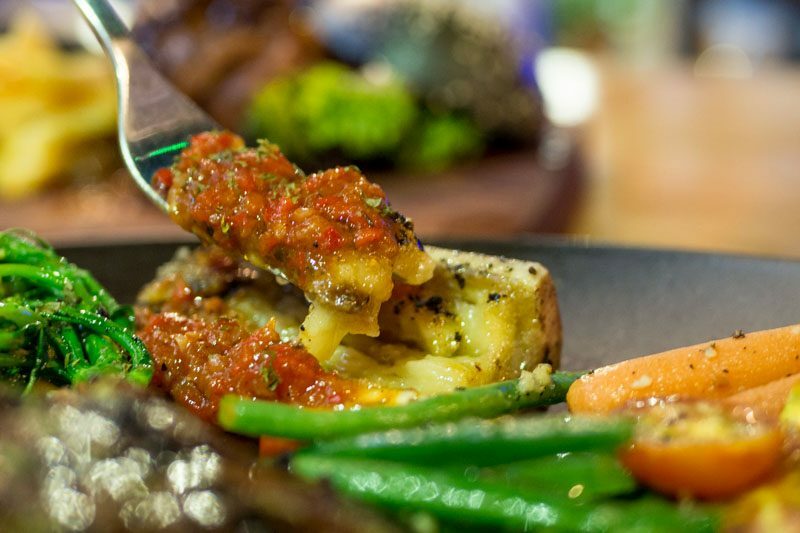 Give the new menu a try and let us know what you think!